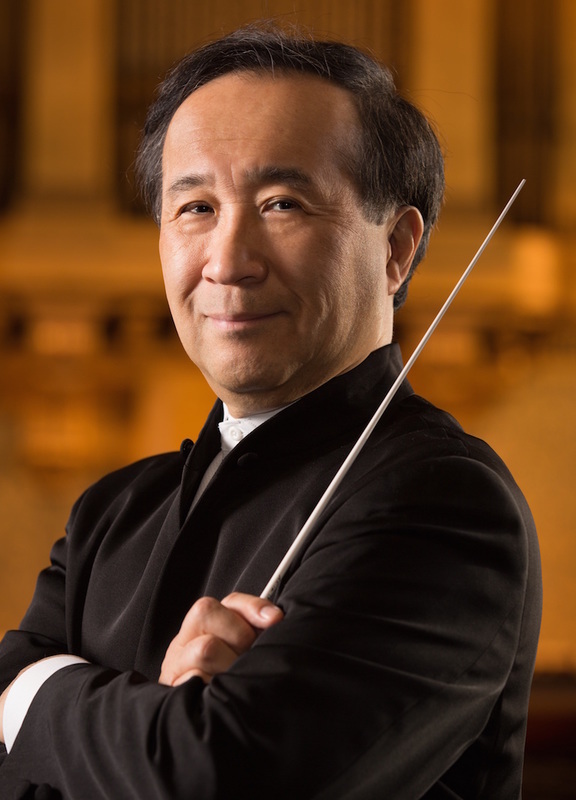 ​TOSHIYUKI SHIMADA is Music Director and Conductor of the Eastern Connecticut Symphony Orchestra in New London; Music Director and Conductor of the Orchestra of the Southern Finger Lakes; and has been Music Director of the Yale Symphony Orchestra of Yale University since 2005. He is also Music Director Laureate of the Portland Symphony Orchestra in Portland, Maine, for which he served as Music Director from 1986 to 2006. Prior to his Portland engagement he was Associate Conductor of the Houston Symphony Orchestra, under Sergiu Comissiona, for six years. Since 1998, he has also served as Principal Conductor of the Vienna Modern Masters record label in Austria. Maestro Shimada continues close association with Turkish Orchestras, and this season he will be guest conducting for the Istanbul State Symphony Orchestra, his fifth Turkish Orchestra collaborations. He will also continue his association with the Lindenbaum Festival in South Korea, supporting its mission to bring peace in the world through great music, and to help promote the peace in the Korean Peninsula. 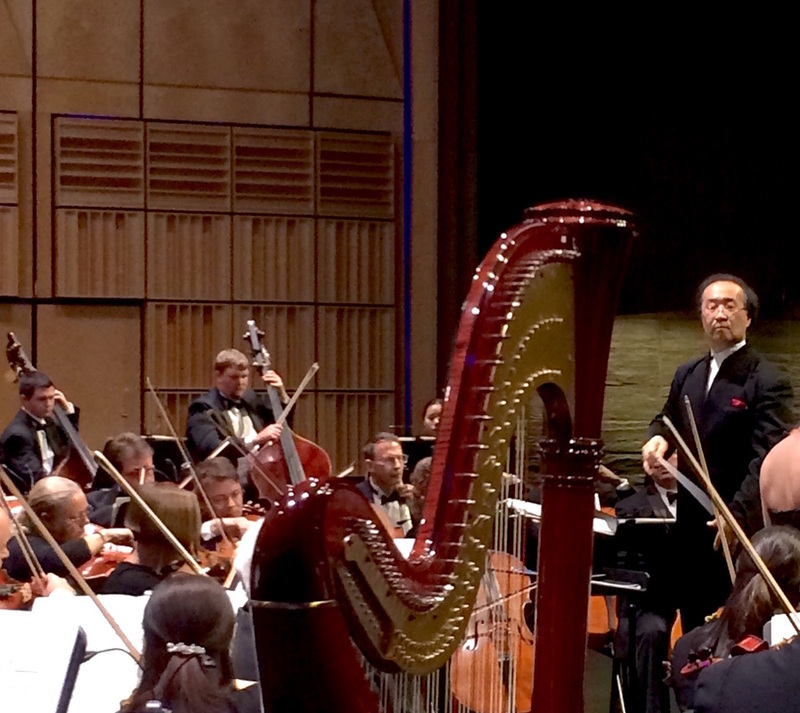 This past summer, Maestro Shimada conducted a very special concert at the DMZ, South Korea, with the Lindenbaum Festival Orchestra with all the Korean TV stations covering the concert. Recently, Maestro Shimada performed in the Carnegie Hall in New York with the Yale Symphony Orchestra, also has appeared in Austrian RadioKulturhaus, in Vienna, with the MUK Symphony Orchestra. He had also guest conducted for the Presidential Orchestra of Turkey in Ankara, and for the Borusan Istanbul Philharmonic, one of the best orchestras in Turkey with a distinguished Turkish pianist, Idil Biert, who is celebrating her 75th Birthday, and he made the return engagement with the Bilkent Symphony Orchestra in Ankara, Turkey. In May and June, 2017, he led the Yale Symphony Orchestra on the highly successful Russian Tour, performing for the full houses in Saint Petersburg (White Hall), Moscow (The Great Hall of the Moscow "Tchaikovsky" State Conservatory), Veliky Novgorod and Yaroslavl, and received stunning reviews. Maestro Shimada has been a frequent guest conductor with a number of international orchestras, including the Bilkent Symphony Orchestra in Ankara, the Izmir State Symphony Orchestra in Izmir, the Lithuanian State Symphony Orchestra in Vilnius; La Orquesta Filarmónica de Jalisco, Guadalajara, Mexico; the Moravian Philharmonic Orchestra; the Karlovy Vařy (Karlsbad) Symphony Orchestra; the Prague Chamber Orchestra; the Slovak Philharmonic; NÖ Tonkünstler Orchestra in Vienna; L’Orchestre National de Lille in France; and the Royal Scottish National Orchestra at the Edinburgh Festival. He has also conducted the Houston Symphony, the Honolulu Symphony Orchestra, the New Jersey Symphony Orchestra, the Milwaukee Symphony Orchestra, the Chautauqua Symphony Orchestra, the San José Symphony Orchestra, the Boston Pops Orchestra, the Pacific Symphony Orchestra, the Edmonton Symphony Orchestra, and many other US and Canadian orchestras. In May 2013, the Yale Symphony Orchestra and Maestro Shimada made a highly successful tour in Brazil, performing in Sao Paolo, Rio de Janeiro, and other cities. In May and June, 2010, the Yale Symphony Orchestra and Maestro Shimada made an equally successful tour to the Republic of Turkey, performing in Istanbul, Ankara and Izmir. The trip garnered extensive media coverage, including CNN and Turkish National Television. In 2008 the YSO toured Italy, performing in Rome, Florence, Bologna and Milan. In addition to these activities he has held the position of Artistic Adviser of the Tulare County Symphony Orchestra in California, and served as Music Director of the Nassau Symphony Orchestra in New York; the Cambiata Soloists, a contemporary music ensemble in Houston; the Shepherd School Symphony Orchestra at Rice University; and the Young Musicians Foundation Debut Orchestra in Los Angeles. He has collaborated with distinguished artists such as Itzhak Perlman, André Watts, Peter Serkin, Emanuel Ax, Yefim Bronfman, Idil Biret, Peter Frankl, János Starker, Joshua Bell, Hilary Hahn, Nadja Salerno-Sonnenberg, Cho-Liang Lin, Sir James Galway, David Shifrin, Evelyn Glennie, and Barry Tuckwell. In the Pops field he has performed with Doc Severinsen, Willie Nelson, Johnny Cash, and Marvin Hamlisch. Maestro Shimada has had the good fortune to study with many distinguished conductors of the past and the present, including Leonard Bernstein, Herbert von Karajan, Herbert Blomstedt, Hans Swarovsky, and Michael Tilson Thomas. He was a finalist in the 1979 Herbert von Karajan conducting competition in Berlin, and a Fellow Conductor in the Los Angeles Philharmonic Institute in 1983. In addition, he was named Ariel Musician of the Year in 2003 by Ariel Records, and received the ASCAP award in 1989. He graduated from California State University, Northridge, studying with David Whitwell and Lawrence Christianson, and attended the University of Music and Dramatic Arts in Vienna, Austria. 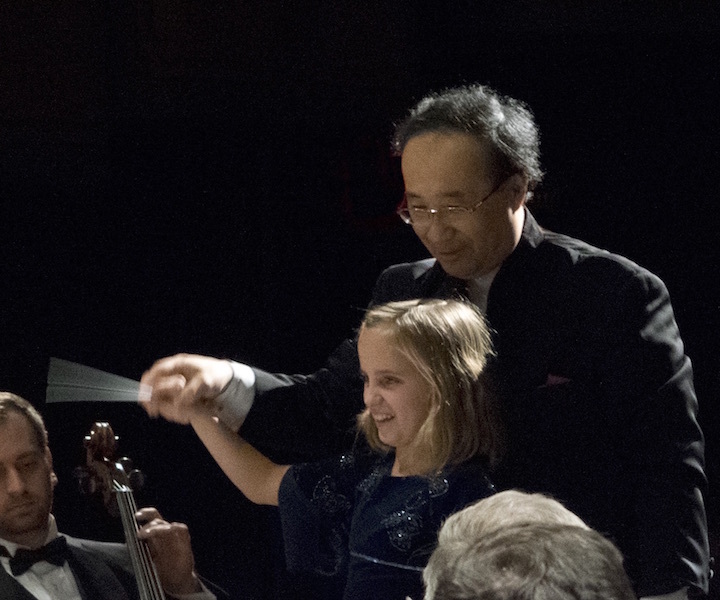 Consistently recognized as an integral and beloved member of every community he joins, Maestro Shimada has received the Portland Fire Department's Merit Award, the Maine Publicity Bureau Cultural Award, and the Italian Heritage Society Cultural Award. He has had a number of state and city holidays named in his honor: Toshiyuki Shimada Day in Houston, TX; Toshiyuki Shimada Week in Portland, Maine; and Toshiyuki Shimada Day in the State of Maine. In May 2006 he was awarded an Honorary Doctorate Degree in Fine Arts by Maine College of Arts. At Yale University he has been selected as a Fellow of Davenport College and a member of the Elizabethan Club. He records with the Naxos and the Vienna Modern Masters. With the Vienna Modern Masters label, and with the Moravian Philharmonic, in Czech Republic, he has fifteen compact discs on the label. He also records for Capstone Records, Querstand-VKJK (Germany), and Albany Records. His Paul Hindemith CD of the complete piano concerti with pianist Idil Biret was released in 2013. His Music from the Vatican with the Prague Chamber Orchestra and Chorus is available through iTunes and Rhapsody. 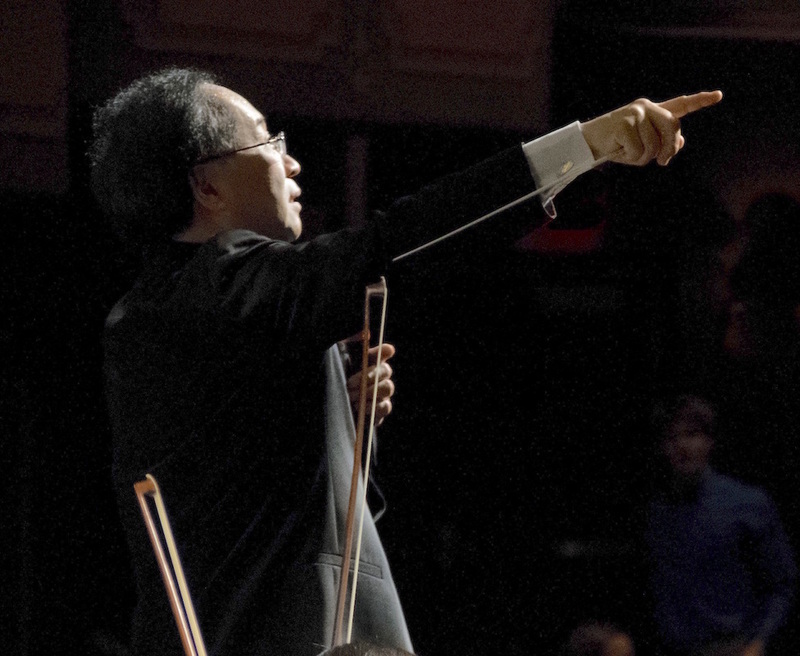 Maestro Shimada holds a teaching position at Yale University, as Associate Professor of Conducting with Yale School of Music and Department of Music. He has a strong commitment to music education, and has been a faculty member of Rice University, Houston, Texas; the University of Southern Maine; and served as Artist Faculty at the Houston Institute of Aesthetic Study. His is a favorite guest conductor with the orchestras of Ithaca College, Purchase College, and the University of Connecticut. He has conducted All State Honor and Regional Honor Orchestras for Connecticut, California, New York, Maine and Massachusetts. He was one of the distinguish speakers at the Chopin Symposium 2010, at Hacettepe University in Ankara, Turkey. This past June, he has taught at the New York Conducting Workshop, guiding talented young conductors with his wide experience. Augusto Diemecke started his violin studies at the age 11 with his father Emilio Diemecke. Mr. Diemecke continued his violin training with Joanna Maikovska, Enrique Espín Yépes, Jorge Risi, Manuel Suárez, Fredell Lack, and Kenneth Goldsmith. Augusto has participated in Master classes with Itzhak Perlman, Henrik Zsering, and Sergiu Luca. He is a graduate of the Conservatorio Nacional de Música in Mexico City and holds a Licensiatura in violin performance from Ollyn Yolitztly school of Music in Mexico. In 1982, Mr. Diemecke won the first price in the Concurso Nacional de violin in Mexico City. Mr. Diemecke is a very active performer. He has played with many Orchestras such as Mexico City Philharmonic, OFUNAM, Guanajuato Symphony, Houston Symphony, Houston Ballet Orchestra, CCO, Orchestra do Norte do Portugal and has served as Concertmaster with Orquesta Philarmonique du Tuornon, in France. He is currently the concertmaster with the Orchestra of the Southern Finger Lakes (OSFL). As a soloist he has performed with Guanajuato Symphony, Morelia Symphony, Orquesta Ollin Yolistly, Orquesta de Cámara de Bellas Artes, The Corning Youth Orchestra, the North Houston Symphony, Orquesta do Norte do Portugal, and The Colgate Symphony. He has performed Chamber music recitals in France, Portugal, Perú, Mexico and the United States. Augusto Diemecke has been teaching violin since 1988. In 1991, he began his training in Suzuki pedagogy at the Ithaca College Summer Institute. Augusto has taken training courses with Daphne Hughes, Linda Fiore, Marilyn O’Boyle and Carrie Reuning-Hummel. He has been a faculty member at CSMA since 1993. In 1997, he joined the faculty of Ithaca Talent Education (ITE) as a violin teacher, and has been conducting the Pochino Orchestra for the past 2 years. In the year 2000 Mr. Diemecke organized a tour for the ITE advanced violin ensemble tour group to go to Mexico, through various cities such as Guanajuato, Zamora, San Miguel and Salamanca. Mr. Diemecke has been a guest clinician at Vermont Suzuki Strings camp, New Hampshire workshop, Gabriel Foure Orchestra training camp in France, Corning Strings Summer Camp, and the Lima Perú Festival. He is also the co-director for the Guanajuato, Mexico Suzuki Festival each September. Gary Chollet has been a performing violinist with the Corning and /or Elmira orchestras since 1963. He received his B.A. in Music from Ithaca College in 1965 and his M.A. in Music Education in 1970 from the same institution. He taught string instruments and directed elementary, middle school and high school orchestras and chamber ensembles in the Horseheads School District from 1965 to 1997. Under his leadership, the orchestras performed in New York, Pennsylvania, Maryland, Washington D.C., and Vienna, Austria. In addition to his teaching duties, Mr. Chollet served as Director of Music for the Horseheads Central School District from 1984 to his retirement in June 1997. Upon retirement, Mr. Chollet took the position of Lecturer at the Ithaca College School of Music in Ithaca, NY. His duties include preparing Junior and Senior student teachers to work in the public schools, conducting the Lab Orchestra, and adjudicating string instrument proficiency examinations. He has adjudicated NYSSMA solo festivals and guest conducted county and area All-State orchestras throughout New York State. While performing with both the Corning and Elmira orchestras, Mr. Chollet helped found the Elmira Festival Chamber Players, a chamber orchestra active in the area in the late 70’s and 80’s. More recently, he helped establish the Ontario Chamber Players, a chamber orchestra based in Geneva, NY and the Festival Strings, a string ensemble based in Elmira, NY. He served on the Ad Hoc Committee, which nurtured collaboration between the Corning and Elmira orchestra boards. This collaboration led to the formation of the Orchestra of the Southern Finger Lakes (OSFL). He is currently President of the Board of Directors of the OSFL, a violinist for the OSFL, and its production manager. William Cowdery is musical director and organist of the First Congregational Church, Ithaca. Bill served for three years as director of Cornell University's Sage Chapel Choir. He has been a guest conductor of the Elmira Cantata Singers and the Colgate University Chorus. He has taught on the faculties of Cornell University, Ithaca College, Colgate University, and Keuka College as performer, musicologist, and theorist. A frequent soloist, accompanist, and lecturer at Bach programs and festivals in the northeast, he has been a three-year fellow of the Bach Aria Festival at Stony Brook. Bill holds a Ph.D. from Cornell for a dissertation on the cantatas of J. S. Bach and has held a Fulbright Fellowship in England. He authored numerous articles in the New Harvard Dictionary of Music and the Harvard Biographical Dictionary of Musicians (1996). He co-edited The Compleat Mozart with Neal Zaslaw (Norton, 1990).